After Mika gave me some good feedback on my “Taming the Black Dog” feature, I made the final edits tat were suggested – Cutting down the intro and making it more striking and snappy, checking my grammar and spelling, and choosing the font sizes to make my work look more like a feature. 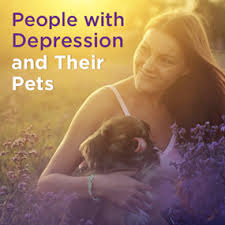 I then started to plan my next feature – How having a pet can help you through depression. My first task was to find someone to interview, so I made a status on Facebook and Twitter asking if anyone has any stories regarding depression and animals. The feedback amazing. Many people contacted me with their experiences and stories. I finally decided on interviewing Yazmin, a girl I knew from school who is a couple years younger than me. Yazmin started to suffer from seizures when she was 18, and became very closed off from her friendship group. Her mum recommended her to by a cat, as she had known he benefits of having a pet in a tough time. I asked Yazmin a few good questions, ranging from “How was your health before owning a pet?”, and “How has your health improved?”. I wanted quite lengthy and descriptive answers, and I want the feature to be quite emotional and in depth. Yazmin’s answers were indeed very lengthy and descripted, just what I wanted. I could always cut down the answers if they are too long. My next task is to write up the feature and format the layout. I will also need to get a photo off of Yazmin of her and her cat, as I feel this will give the reader a good visual aspect to the story.